Amazon’s The Grand Tour with Jeremy Clarkson, Richard Hammond and James May came to Los Angeles to make a statement of why they are the premiere car show on television. 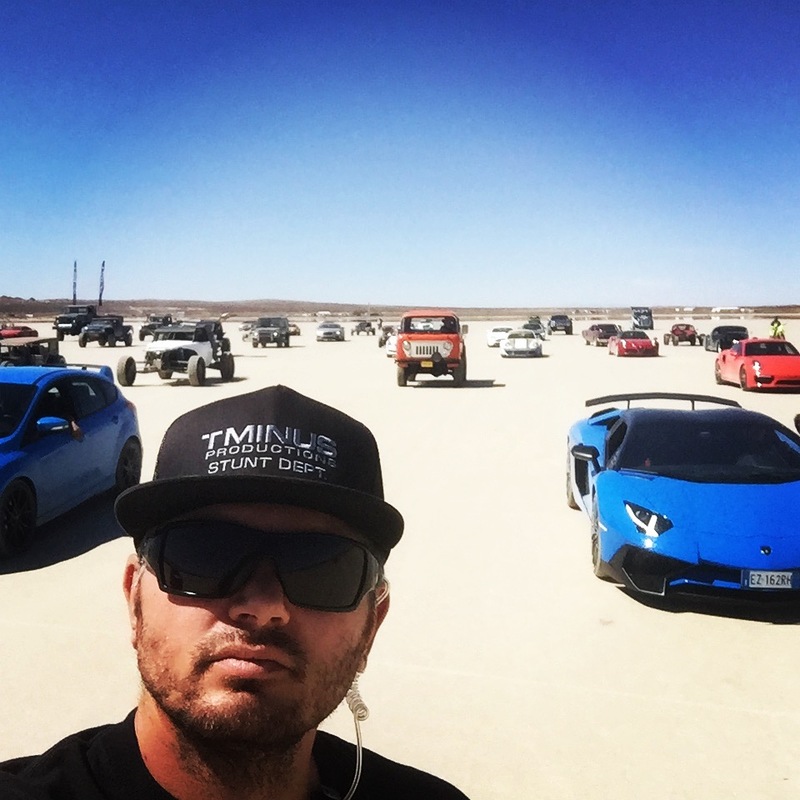 Using millions of dollars of vehicles from Aston Martin, Mercedes, Lamborgini, Rolls Royce , Mike Ryans Freightliner Race Semi, Porsche and one of a kind vehicles driving in the Mohave dry lake bed while the host comes blasting through the lines in brand new Mustangs. This was done with professional drivers and some driving their personal cars. In doing so it took several hours of rehearsal to the over 50 plus drivers to be able to drive at a high rate of speed and hold there mark for several miles while the host come racing though the line. Action Director TJ White from T Minus Productions was brought in to supervise and design the action along with Safety consultant Adam Atella. Using experienced consults helps a production not only be safe of save time while actually filming. This saves a production money in the long run.